FOX has renewed the drama series Star for a second season, it was announced today by David Madden, President, Entertainment, Fox Broadcasting Company. "Lee Daniels is a true visionary and he and Tom Donaghy have delivered a series with a unique and meaningful point of view," said Madden. "Our incredible cast, led by Queen Latifah and Benjamin Bratt, instantly infused their characters with tremendous depth and passion, and the show has proved to be both powerful and really entertaining. We are thrilled that this Star will continue to shine for a second season." 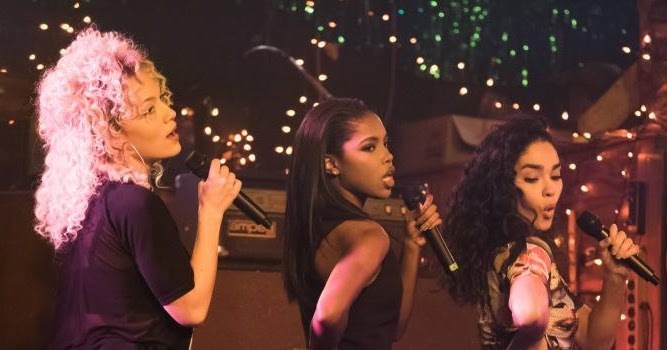 Delivering an average Multi-Platform audience of more than seven and a half million viewers, Star is an emotionally powerful drama that follows three talented singers - running from their pasts and desperate for a new start - with ambitions of stardom, as they navigate the cut-throat music business. The series features Queen Latifah, Benjamin Bratt, Jude Demorest, Brittany O'Grady, Ryan Destiny, Amiyah Scott and Quincy Brown. Only three more episodes of Star remain before the jaw-dropping season finale, airing Wednesday, March 15 at 9 p.m. ET/PT on FOX. As the season comes to a close, news of Otis' murder continues to wreak havoc on God's Blessings Beauty Salon and threatens to break up the family, as the girls will face life-changing decisions that could tear them apart. Special guest stars set to appear on Star over the next four weeks include Naomi Campbell, Big Boi, Rickey Smiley, Missy Elliott and Paris Jackson.